FC PLATINUM will bus their Zvishavane fans to Bulawayo for the CAF Champions League group stage tie against Orlando Pirates at Babourfields tomorrow. The Zimbabwe champions were hit hard after CAF deemed their fortress, Mandava, unfit to host such a high profile CAF fixture. The platinum miners’ spokesperson Chido Chizondo told H-Metro yesterday that they are providing free transport for their fans. Chizondo said their fans expected to watch their favourite team playing such a big match and will fulfil their wishes. “We are going to bus our fans from Zvishavane because they are also looking forward to this game. They have been loyal and want to support us all the way like they have always done,” said Chizondo. 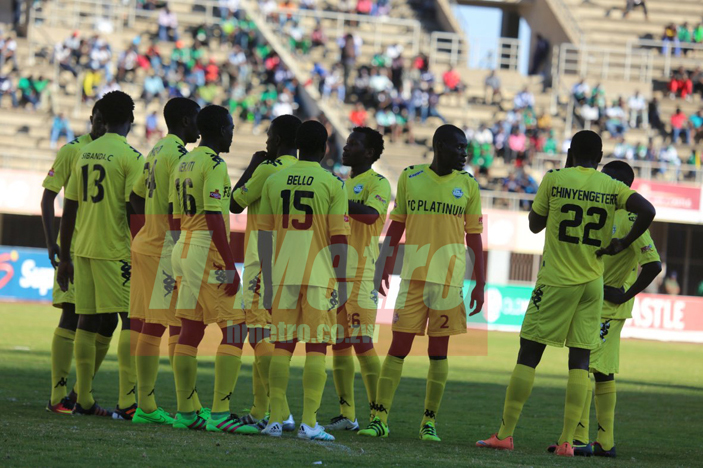 Norman Mapeza’s men have been in Bulawayo since Wednesday and a green army is expected to join them along with other fans in the City of Kings tomorrow to fill Emagumeni. The move by the Zvishavane miners will dilute a general belief by some sections that Highlanders fans are going to rally behind Pirates. “This is one of their big matches so they are excited and it’s important for them, that’s why we decided to have this arrangement for them. “The mood in the camp is normal but I can tell you that the boys are very excited about the match,” she said. Mapeza has reiterated they are not affected by playing ‘away from home’ as he asked his boys express themselves. The Zvishavane miners are expected to unleash new sign Edmore Chirambadare after the departure of Rodwell Chinyengetere. Chirambadare along with Nhamo Lameck and Gift Mbweti are expected to cause problems for the Bucs defence. A showdown in midfield is also expected between Farai Madhanhanga who has been doing well for Platinum and Pirates’ Warriors midfielder Marshall Munetsi. Another Zimbabwe at the South African side, Kuda Mahachi, is in top form and is another threat to Pure Platinum Play. Rwandan referee Jean Claude Ishimwe will be in charge of the match assisted his countrymen Theogene Ndagijimana and Dieudonne Mutuyimana. Samuel Uwikunda of the same country is the reserve referee while Joseph Nkole of Zambia is the Match Commissioner.